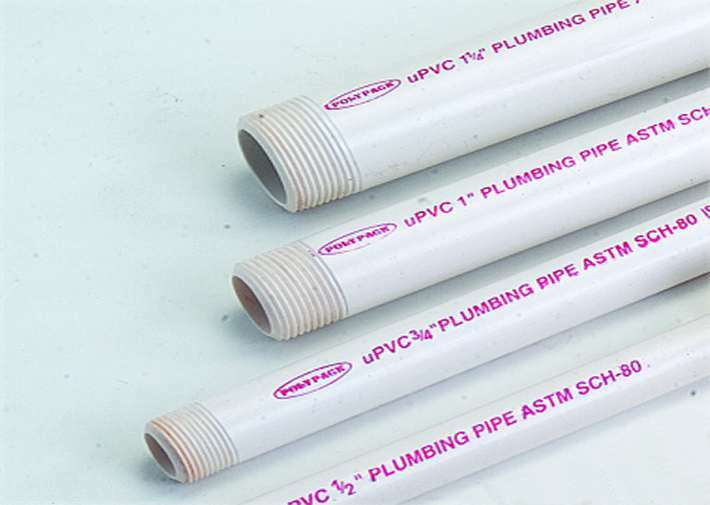 POLYPACK uPVC Threaded pipes as per ASTM standards are manufactured as per schedule 80 and schedule 40 of the standard. Depending on the user requirements, these pipes are available in 3 meters and 6 meters length. These are manufactures in white/off white colour. These pipes can be threaded on site and provide good compatibility with the existing GI fittings. Alternatively, these pipes can be supplied without theads and can be used with ASTM fittings with standard solvent cement jointing.